The MGB GT was a 2+2 fastback version of MG's entertaining 2-seat MGB roadster, and with today's classic car market they offer a decent package for a low entry price. This next one has had over $12k in repairs/restoration in the past 4,000 miles... and remember, there is no money better spent on a car than the previous guy's. 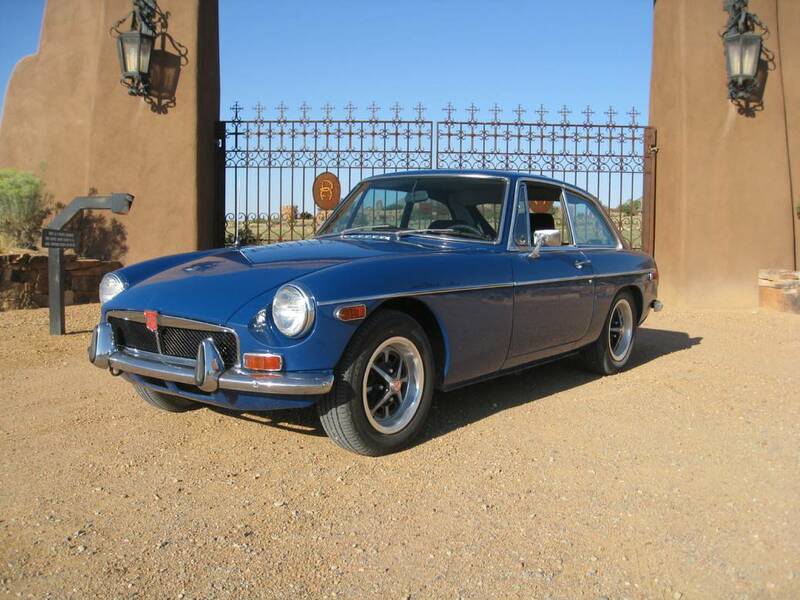 Find this 1973 MGB GT offered for $7,000 in Santa Fe, NM via craigslist. Tip from FuelTruck. 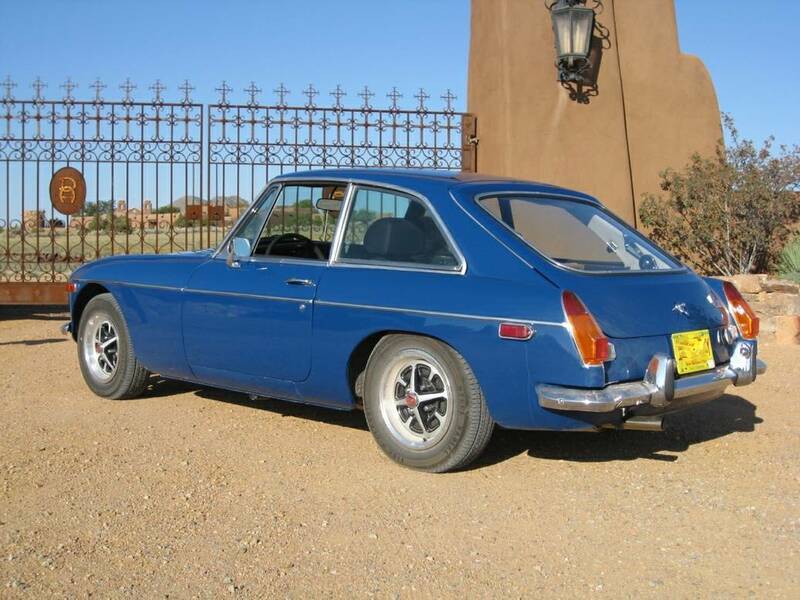 MG's little "B" was made in various forms from 1962-1980. The MGB received many upgrades from when it was first released in 1962 to when it was put to pasture in 1980, but none as visually striking as the 1965 GT hardtop version designed by Italian design house Pininfarina. 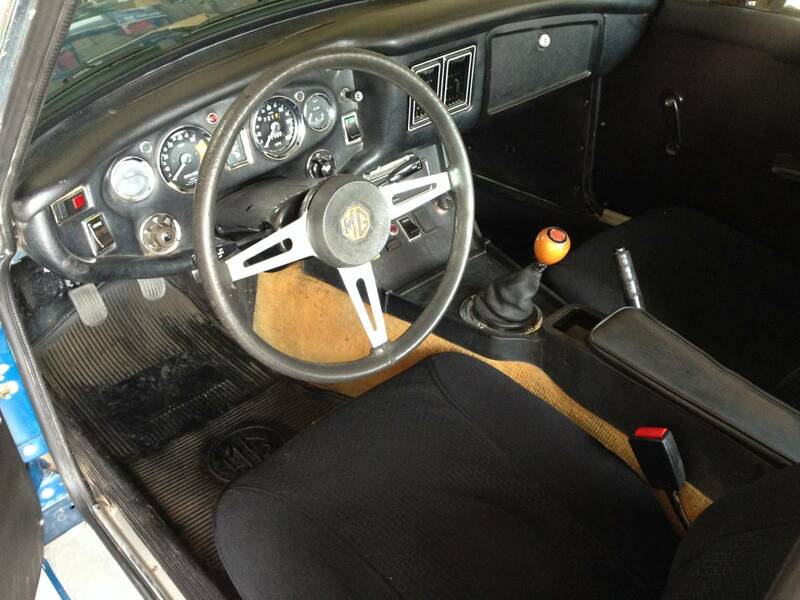 It adds weather integrity, body structure, rollover safety, and 2 small rear seats to the basic MGB roadster. Under the hood is BMC's B-series tractor chugger -- a 1.8 liter OHV 4-banger that pulls 90ish horsepower worth of air and fuel through a set of twin SU carburetors. The B-series engine is known for its simplicity, reliability, and being easy to overhaul in your carport. This B GT looks to be in decent driver condition and the asking price isn't too far from the Hagerty suggested $6,600 for a #3 good condition car. The pictures illustrate the perfect conditions for driving one of these MGs. Its not wet so it may well start and run. Its not dark so you don't need both headlights to work. Nice looking car though. One of the easiest-to-live-with classics. Lots of parts available, and every potential problem has been dealt with by someone who is happy to share the knowledge. Great fun to drive. Personally, I prefer this to a roadster. 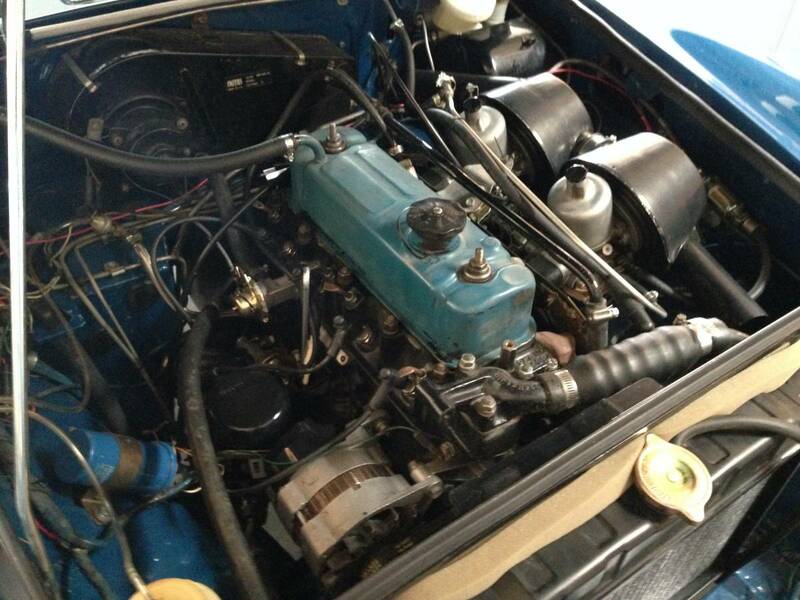 And for $7K, you likely can drive it for free for as many years as you care to. Excellent point; now, where did I bury that coffee can with the seven grand inside? This is one of the best buys I have seen anywhere online for a B/GT. While British, these can be pretty stout cars given some care. While eveybody gives Lucas electrics a bad rap, it's the SU fuel pumps in these things that are likely to give you fits. I've heard of people installing two pumps, and just swapping the power wires to the spare when the first one goes bad. Mine had a Carter pump, and no issues. Mine also had a 12a. I miss it.